Geralyn S. DeBroux, age 52, of North Frances Street, Port Washington, formerly of Ripon, passed away Sunday, December 7, 2014 at the Zilber Family Hospice in Wauwatosa. She was born on September 22, 1962 in Port Washington, Wisconsin; daughter of Paul J. and Beverly M. Schultz Godersky. Growing up in Port, Geralyn attended St. Mary School and Port High. On September 4, 1982, she married Thomas A. “Tom” DeBroux, also of Port Washington at St. Peter of Alcantara Catholic Church in Port Washington. Over the years, Geralyn worked in the deli at Sentry Foods in Port. In 1994, the family moved to Ripon. There, she worked at the local Pick ‘N Save Grocery. In August, 2013, she returned to Port Washington. Geralyn is survived by her husband Tom, her son Andrew (Erin) DeBroux of Seattle, daughter Jennifer (Jason Vanier) DeBroux of West Bend, granddaughter Azalée DeBroux; her sisters Donna (Donald) Greiveldinger of Port Washington, Carla (Jeffrey) Leak of Belgium and Paula (Kevin Schoeder) Freeman of Grafton, her brother Gerald (Carron) Godersky of Port Washington; her father-in-law Jerold (the late Shirley) DeBroux of Port Washington; brothers-in-law Dean (Amy) DeBroux of Fort Myers, FL, David (Lynn) DeBroux of Menomonee Falls and Dan DeBroux of California; nieces, nephews, other relatives and friends. 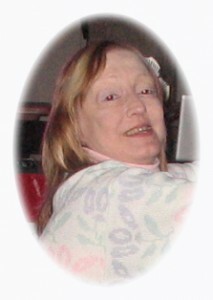 She is preceded in death by her parents and her sister Gail Volkman. A family gathering celebrating Geralyn’s life will be established for the Summer, 2015. Memorials to the family or charity of your choice appreciated. So sorry to hear of you loss of you wife and mother. All of you are in my prayers. Loss is always hard, but more so at such a young age. Please accept my condolences in the loss of Geralyn. We are so sorry to hear of Geralyn’s passing. Our thoughts and prayers are with you Tom, Andy and Jennie as you mourn her loss. May our Lord keep you tight in His loving arms and give you strength in the days ahead. So very sorry for your loss. My thoughts and prayers are with you, Tom and the entire family. Heaven has another young person, too soon! It breaks my heart! God Bless you Susie, you will be missed! Prayers sent to her family! Words can not express my sympathy for Suzie’s family. I have fond memories of her while hanging out with her sister Gail. Find comfort knowing the two sisters are together once again. All of you will be in my thoughts and prayers.